Bagels galore fresh out of the oven at Absolute on the Upper West Side. Craig Nelson, 2013. It’s a debate that never ends: Who makes the best bagels in New York City? Everyone has their favorite, but opinions can get heated. But that’s the fun of the New York bagel obsession. Although it’s getting harder and harder to find top quality bagel shops, I recently researched and wrote a roundup article for NewYork.com called “The 16 Best New York City Bagels and What Makes ‘Em So Good.” It was a fun assignment where I was able to dive deep into the history of the bagel, how they are made, and best of all, put the challenge to the ultimate test–what is the best tasting bagel in the city. Although, it’s hard to choose an ultimate favorite, right now I’m on an Absolute Bagels and Ess-a-Bagel kick. But that could change at any second. 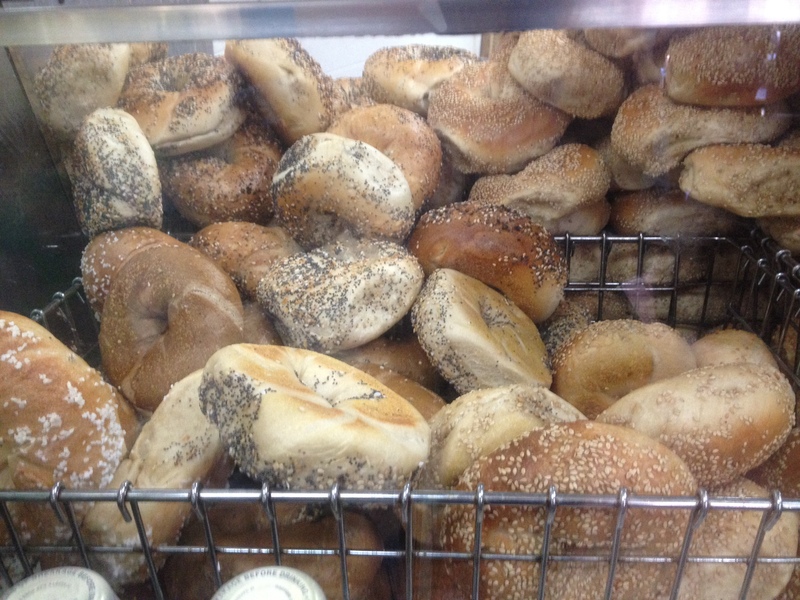 What are your favorite spots to pick up a bagel? 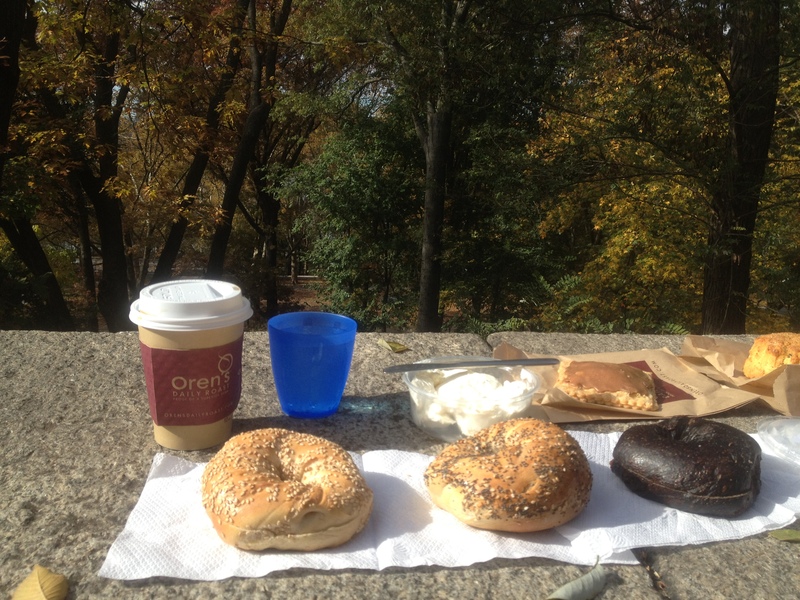 Enjoying an Absolute Bagels morning snack in Riverside Park. Craig Nelson, 2013. 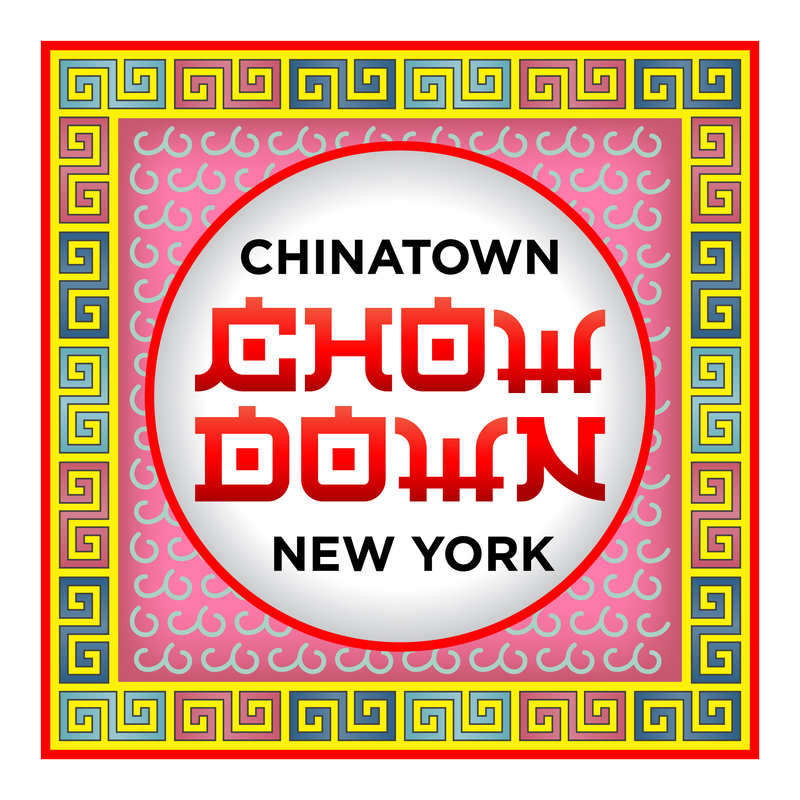 This entry was posted in Eat, Drink & Be Merry and tagged bagels, bakeries, food, New York City. Bookmark the permalink.